There are many benefits of introducing dance in to your homeschool curriculum. Movement and expression come naturally to the young. Even better, while they are having fun they are gaining important lessons in fitness and bodily awareness. Dancing burns calories and tones muscles, which meets physical education requirements, but it also fulfills standards for arts and music appreciation. Dance requires students to identify rhythm and keep count of music. Some forms, such as Mexican folklorico dance or Irish dance, ask students to remember and perform complex mathematical patterns. Dance can also increase attention and focus and can be integrated throughout the day to help kinesthetic learners, students with special needs, or kids diagnosed with ADHD expend energy and organize thoughts through focused movement. With all the great benefits of dance, it is still difficult to find any comprehensive homeschool dance curriculum packages, even among those programs with a strong Arts focus. Luckily, it can be easy to connect with programs near you. The best place to begin searching for local dance instruction is through your town or city's center for the arts. These departments are typically located within parks and recreation offices as part of either the local county or city government. Private studios can be found offer dance lesson options. In many urban center, Internet searches for local dance studios are beginning to return multiple choices designed specifically for homeschoolers. If you cannot locate any existing classes, persistence and communication can bring results. Set up a meeting with an arts program supervisor to share your wishes for daytime classes. Prepare before the meeting by gathering a list of other homeschoolers who also want a dance class, along with what type of dance and how much people are willing to pay. If you have a college campus nearby, call their Arts or Physical Education departments or post a flyer there to seek a student who may be able to provide individual instruction, or teach a small group of homeschool students. For do-it-yourself dance lessons and activities without a group, libraries and Internet sources have a wide variety of dance instruction videos. When a few families work together or you have access to a large support group, find out what types of dance are most popular within the group, trade ideas on how to keep classes fun, and brainstorm ways to negotiate discount tickets to regional dance performances. Any dance program has to be fun for children (and adults) to stick with it. An interest in dance may spark additional curiosity to learn music, performance arts, the history of dance, the customs of other cultures, or simply experimentation among different dance styles. It's nice to have the freedom as homeschoolers to choose what is most appealing to our families. Homeschoolers are often keen to develop socialization opportunities, and incorporating dance into your curriculum offers one of the best ways to do this. If one of your children is shy, following steps and patterns allows kids to be part of a larger group without the stress of having to talk. For teens, formal dance steps require ladylike and gentlemanly behavior between girls and boys since they must participate within the boundaries of the dance, in contrast to free-form "club" dances where anything goes. If you have access to a support group or co-op, consider scheduling a formal dance as a fun conclusion to a series of lessons. This could be a square dance, ballroom or swing dance, or country line dance. Take caution to preview any music with lyrics to check for age appropriateness. Look at the resources section at the end of this article for video instruction in various dance forms if you cannot find a local teacher. Many young dancers will be interested in performing on stage, which is a great way to gain social experience, learn how to manage stage anxiety, plus develop discipline and improve technique. When considering performance or competition dance, be prepared for a time commitment. In addition to classes and practice, there will be time spent in rehearsal, as well as time spent helping to handle or make costumes and stage sets. Dance provides a great opportunity for parents to support young performers through volunteering backstage. Be cautious to avoid analysis or criticism of the performance. It's easy to turn in to a "Stage Mom or Dad" without realizing it's happened. Instead, ask the dancer what they thought they did best or what they want to work on. Family support is the key to the emotional balance required in stressful performance situations. During performance season, families may need to be flexible with academics and may need to travel as well. Family support is crucial to a young performer, which can be difficult for large families due to the cost of tickets. Families often handle this obstacle by having family members take turns attending dance events, or by bringing the whole family to the dress rehearsals, which are usually free. Some kids thrive on healthy competition. Competitions can teach persistence, teamwork, discipline, and socialization. Luckily there are many such outlets for homeschoolers to compete in dance. Local studios are the best place to start finding out what is available in your area. Most studios encourage healthy and positive competitiveness, but a parent will want to be aware of the tone and values of the studio. Keep in mind that competitive dance can involve substantial travel time and expense, so it's a good practice to network with other involved families for carpooling. Dance.net lists competitions for various dance styles across the country, many of which offer cash prizes or scholarships. For serious students of ballet, the Youth American Grand Prix is one of the most prestigious competitions with winners receiving scholarships and/or job offers to performance schools and ballet companies around the world. For both performance and competition, summer camps are popular for intensive instruction and networking, but can be expensive. Reviews of summer intensives can be found through Dance magazine, for ballet students, and Dance Spirit magazine for jazz, modern and hip hop students. Researching each program takes time; if you are working with a dance teacher, he or she will be a good resource. Most programs offer scholarships for talent and financial need, but even with these, parents will need to prepare budgets for travel, medical costs and shoes. 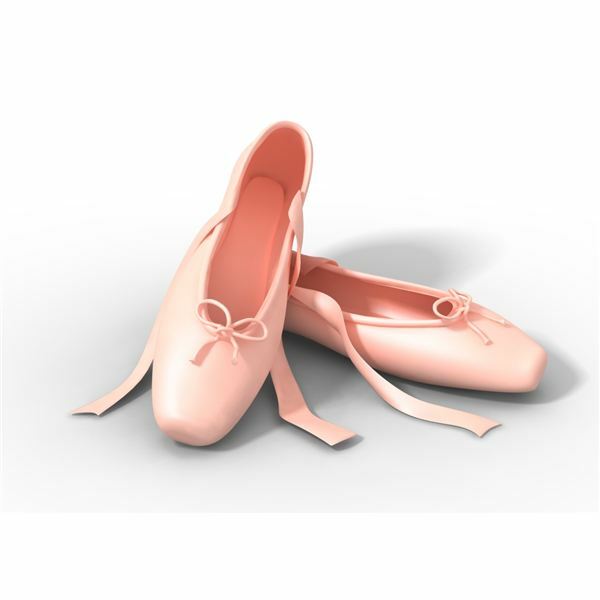 A ballet dancer enrolled in a summer intensive can go through a pair of pointe shoes in a week! Dance can also be a unique and effective way to reach students with special needs because it is nonverbal. Dance can help students gain balance between the two halves of the body, allow them to express emotion, gain muscle control, work through traumas, and interact socially through parallel interaction, which is less overwhelming on sensitive nervous systems. The medical community is becoming more aware of its benefits, making it easier for parents to receive funding and resources. Find a dance therapist to get more information about how you can make dance part of your program, or check out the resource section at the end of this article for creative ideas and dance lesson plans that can be easily adapted to accommodate children with special needs. For some, dance unleashes hidden talents and opens the door towards future possibilities. This video interview from Dance magazine discusses how choreographer Heidi Latsky incorporates dancers with physical disabilities in to her performances, opening doors that were previously closed to them, and in so doing, opening the minds of the audience.